August 8th, 2018 (10:08 PM). Edited February 1st, 2019 by Trev. Hello there, fellow PC user/random anonymous guest! You've stumbled upon the magic that is Trev's CSS Shop. I've decided to open a shop with the goal of providing PokeCommunity threads with glorious, wonderful, colorful, and free CSS. I've been polishing my PCSS (see what I did there? Ha, I'm funny) skills over the past few months and am ready to glamify PC! You're probably wondering why I'm doing this.  Honestly, I love PC and I think, as a forum, it has a lot of perks that other forums simply can't offer. CSS is absolutely one of those perks (hell, it's the reason I donated). It pains me to see bare-bones threads when there's so many powerful design options right at everyone's fingertips. However, I realize that some people simply aren't willing to learn or don't have the time/patience to test every little detail. That's where I come in! I'm a perfectionist in many regards and CSS is no exception. I pay extreme attention to detail, right down to the tiniest missing padding, and I use a lot of unorthodox methods to make my designs look flawless. Give me an hour and I can pull off some impressive feats. I want to offer my skills to the community in hopes that I can help make your thread look stunning. Before you start making requests for me to fulfill, there's a few things I want to talk about. I do have a few restrictions on how my CSS is used. This is required reading, so pay attention! Failure to follow these rules may result in me asking a mod to remove my CSS from your thread/post. First, I prohibit any structure edits to my CSS. This includes elements like padding, margin, float, position, etc., especially css-div and cd tags. The reason is because my CSS usually has a very rigid structure that can be easily messed up. My coding is usually long and complex with multiple css-div tags. Messing with elements like these could very easily break the entire CSS altogether. If you want a modification to the appearance of your CSS, please feel free to discuss it with me via PM (which is where all requests will be fulfilled). Modifying it yourself will only cause disaster. Second, I will always include a relatively small but noticeable tag on my CSS that links back to this shop. You absolutely cannot remove this tag under any circumstance. I'm considerate, so I'll obviously put it in a place that is not noticeable and will not interfere with the content of your thread. Third, I ask that you not request themes designed exclusively for mobile. In order for me to test that, I would have to code the entire CSS on my phone, and I would rather eat hot coals than do that. My best work is always designed for computers and I have no intention of changing that. I will make themes as mobile friendly as possible if requested, but for more complex themes, that will likely not be possible (as you can probably tell by the screwed-up headers/boxes above if you're viewing this thread on mobile). I also ask that you not add-in mobile friendly code yourself. Fourth, I ask that you use my CSS following any provided instructions to present it in a manner that does justice to my work. I put my faith in your hands when I hand over the finished code, and failure to follow my instructions may result in a busted theme that would reflect badly on me as a coder. All finished code that has been handed over will be posted in this thread so that everyone knows what it should look like - keep that in mind! Fifth, I ask that you not use my CSS for any purpose that breaks PokeCommunity rules and code of conduct. This should be obvious. Sixth, I ask that you have content for me to fill the template with. I cannot create a template without words to space it as needed, so either having a thread up already or having the full content written out (and preformatted, if you're nice) is a requirement. Please use the following form to submit a request for a thread CSS template. Do not send this form to me via VM or PM. Simply post it in the thread and I will get to it as necessary. I reserve the right to reject any request for any reason. Link to Thread: If you already have a thread up, please provide it here. Put N/A if your thread is not posted and you will send me the content via PM after I accept your request. Type: This is either simple or complex. Simple CSS is generally defined by little to no image usage, monotone palettes, basic structure, and no/simple headers. Complex CSS is generally defined by heavier image usage, multi-tone palettes, moderate to sophisticated structure, and complex headers. If you don't include specifications, this will guide how I design your template. How many layers? : Options are single layer, double layer, and triple layer (Cardstock) if you're ambitious. Single and double will usually suffice - triple layer is really complex and may not always work. Split Boxes or Solo Box? : Example of split, example of solo. Split works better with single layer and solo works better with double layer, but vice-versa works just a fine too. Section Headers? : Yes or no. I can create thematic section headers to help you separate different parts of your thread/post. Specifications can be added below. Mobile Friendly? : Yes or no. Mobile-friendly simply means that your CSS will be perfectly readable and generally attractive on both desktop and mobile. Not mobile-friendly templates are still readable and don't expand the page unreasonably but may not look very pretty. Primary Background: The background for the body of your template. Primarily useful for double layer. If you want an image, provide a link. Otherwise, specify a color or colors you'd like me to use. I can do flat color, gradients in various directions, etc. The more specific, the better it'll look. Hex colors preferred. Inner Background: The background color of your box(es). I recommend white, black, soft pastels, and dark shades for most readability. Again, hex preferred. If you want transparency, provide the rgba and desired transparency instead. 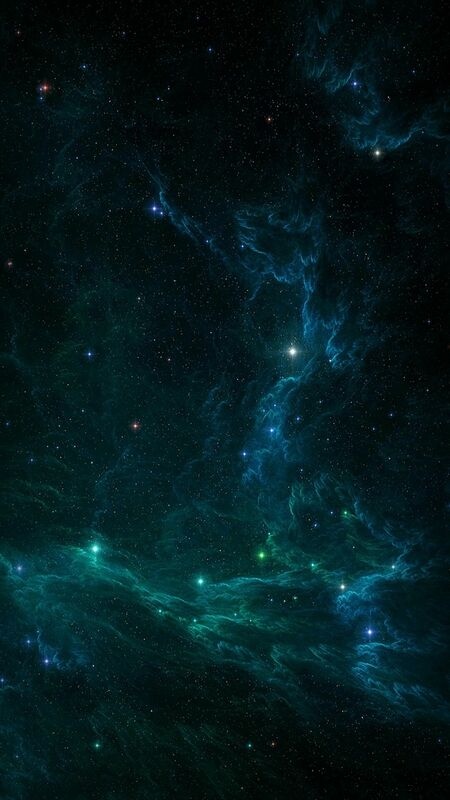 If you put an image here, it will become the primary background. Text Color: Typically, I'll choose a color that matches the inner background, but if you have a color you really want to use, leave it here. Hex preferred as usual. If the color affects readability, I reserve the right to reject it. Borders: You can specify color, effects, curvature, style, size, etc. Remember that less is more. Headers: Anything you want for your headers if you want headers. Yes, I can make shaped headers like the ones on this post. Yes, I can do floating headers like the ones in my hack thread. Do I want to? No, but if you really want them, I'll do it. Anything Else? : If you want some unique thing that falls outside of those categories, explain it here. Detail will get you the closest results. If what you want breaks margins or site spacing on PC, it'll get rejected. Please use the following form to submit a request for a signature CSS template. Do not send this form to me via VM or PM. Simply post it in the thread and I will get to it as necessary. I reserve the right to reject any request for any reason. All fields are required. Links in Signature: If there are any links in your thread, I absolutely need to have them. If you signature doesn't have any links, put N/A. Link Styles: Either "Icon" or "Text" can be put here. If you choose Icon, I will use the Font Awesome icons available to the forum to find a corresponding icon for whatever your link is about. You can also use this section to specify colors and designs for the links. Flexibility: Either "Flexible" or "Rigid" can be put here. If you choose Flexible, I will design your CSS to be flexible and modifiable enough to handle multiple links and to be easy to edit yourself. However, these signatures will usually be simpler in design. If you choose Rigid, your signature will be harder to edit yourself and will have a set number of links it can handle, but will usually look better. While you can put an option here, I may change it to Flexible if you have too many links. Image Links: If you signature includes an images or images, provide the link(s) here. Remember that the size limits for signatures are 600x350, so choose your image(s) accordingly. Sidebar Position: Options are left, right, top, bottom, and center. All are possible, but left and right tend to look the best, and center tends to look... weird. But again, all are possible. Sidebars are mandatory if you have links - if you don't and don't want a sidebar, put N/A here. Anything Else? : If you want some unique thing that falls outside of those categories, explain it here. Detail will get you the closest results. If what you want breaks margins, site spacing, or signature spacing, it'll get rejected. This section lists all requests that I am currently working on and planning on fulfilling. Due to the difficulty of coding Complex templates, I've limited them to 2 requests at a time. Simple templates have no request limit, but I will typically only work on 4 at a time unless they're ridiculously easy. Queued requests will be automatically added once a spot opens up and they're the first on the list. If you're looking for a completed request, you can find links to my posts in this thread that contain the finalized template. I'm just going to say this now: do not under any circumstance use a template that does not belong to you unless you have permission from the person who requested it. If I catch that, I will absolutely call you out. Just request your own - it's free anyway. August 14th, 2018 (3:32 PM). August 14th, 2018 (9:39 PM). Anything Else? : I want something that would make the game pop! Bring people attention to the videos and features. August 15th, 2018 (12:21 PM). Edited August 15th, 2018 by Trev. Click on the links to view examples of each. Single layer is what your thread is right now. I'm going to throw your request in the queue and move it accordingly once you decide. Also, you have to choose split or solo. These are required for the request. August 15th, 2018 (1:28 PM). September 19th, 2018 (11:28 AM). Edited December 19th, 2018 by Trev. Completed request for Zeak6464. Do not use or duplicate without permission from thread owner and me! The player begins in their hometown of Pallet Town. After venturing alone into the tall grass, the player is stopped by Professor Oak, a famous Pok�mon researcher. Professor Oak explains to the player that wild Pok�mon may be living there, and encountering them alone can be very dangerous. He takes the player to his laboratory where the player meets Oak's grandson, a rival aspiring Pok�mon Trainer. The player and the rival are both instructed to select a starter Pok�mon for their travels out of Bulbasaur, Squirtle, and Charmander. Oak's Grandson will always choose Eevee which is stronger against the player's starting Pok�mon. He will then challenge the player to a Pok�mon battle with their newly obtained Pok�mon and will continue to battle the player at certain points throughout the games. While visiting the region's cities, the player will encounter special establishments called Gyms. Inside these buildings are Gym Leaders, each of whom the player must defeat in a Pok�mon battle to obtain a total of eight Gym Badges. 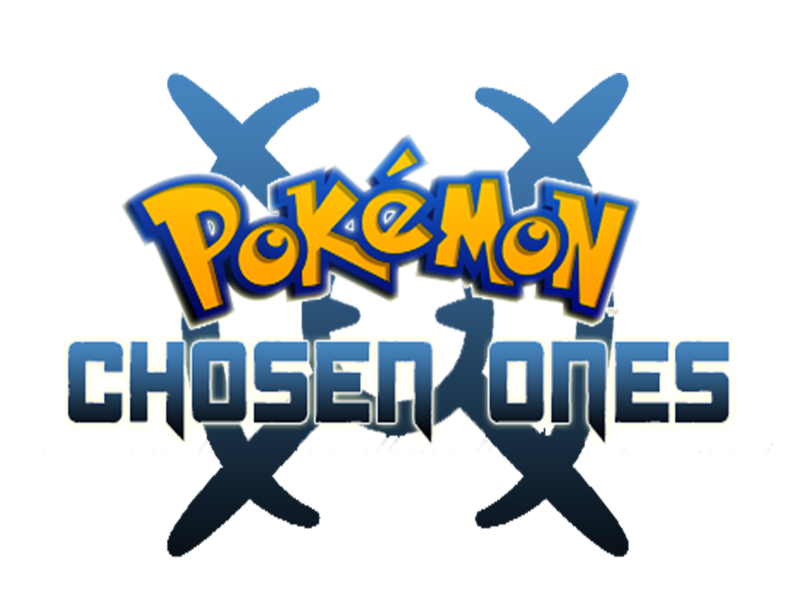 Once the badges are acquired, the player is given permission to enter the Indigo League, which consists of the best Pok�mon trainers in the region. 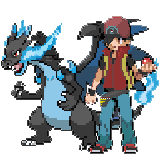 There the player will battle the Elite Four and finally the new Champion: the player's rival. Also, throughout the game, the player will have to battle against the forces of Team Rocket, a criminal organization that abuses Pok�mon. They devise numerous plans for stealing rare Pok�mon, which the player must foil. Anime: Meet Anime Characters from the Show. World Tournament:After you beat the Elite 4 go back for a new kind of challenge! Blue: Is waiting for you in the 8th Gym after you beat him as champion. SS.Ann: Heading to the Alolan Region ??? Why! Beat the 7th & 8th Gym to see why ! Multiple Regions:Visit Johto for a new region to explore ! DS:Duel Screen Styled in Mind to keep the game looking new and fresh. With everything you have seen in the past we have made a lot of changes to the game. I've included things like Team Rocket now uses Random Pokemon from Gen 1 to seeing delta pokemon in safari zone. -Clock in Screen has issues if you click it when you have no pokemon . -Cant switch around moves in summery screen. -If you have a partner ,your party will auto heal. -Depending on your screen the Game might be too big or too small. This is a non-profit fan-made game. September 28th, 2018 (3:46 AM). Edited October 13th, 2018 by Venomous_Zero86. October 11th, 2018 (9:13 AM). Due to readability issues, I'm changing the color of your body text to white. Otherwise, I'm going to move ahead with what you've given me. October 11th, 2018 (1:00 PM). October 12th, 2018 (5:39 PM). I would ask for one but I don't see much point in me having a CSS when I never get any comments on my things. Please check out my InuYasha fanfiction and tell me what you think. November 6th, 2018 (6:18 AM). November 6th, 2018 (5:48 PM). November 19th, 2018 (8:55 AM). As I'm currently a senior in uni with three jobs, I'm very busy, so obviously things like these are low priority for me. Once I have some free time, I'll get your request handled. I will absolutely, at a point in time, fulfill your request, so don't stress. December 14th, 2018 (11:30 AM). Edited December 14th, 2018 by Trev. Completed request for Venomous_Zero86. Do not use or duplicate without permission from thread owner and me. 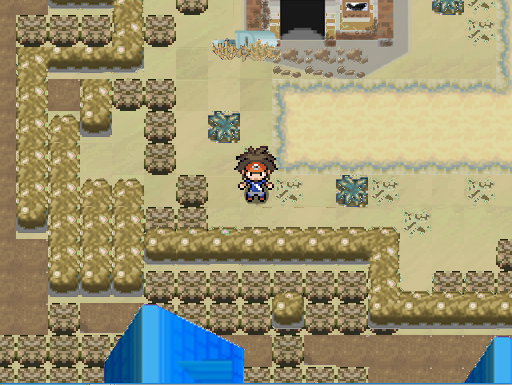 Welcome to the place where Arceus Started, Embark on a journey to explore the Zowto region and become a Pokémon Master! Catch, train and battle Pokémon in a world where Evil starts to grow over the region. Take on Gym Leaders, stop Team Vikour from capturing Arceus, and conquer the Pokémon League! End an evil cult's plans and meet a familiar legendary Pokemon in exciting new story arcs! Please contact me if you like to beta test! December 26th, 2018 (8:23 PM). Completed signature request for AdorbzFangirl. Do not use or duplicate without permission from signature owner and me. So, as you might be wondering, I'm now providing the option to request signatures. This option was technically always there, I just... didn't have a form up for it. But now I do! So, definitely request signatures if you've been wanting one. December 30th, 2018 (9:28 AM). Edited December 30th, 2018 by juliorain. Split Boxes or Solo Box? : I think split! Mobile Friendly? : Don't really care either way! Background: I'll give you some creative freedom, this is a post-apocalyptic fangame, so I want a dullish camo green to be a theme. Possibly brown patina texture? Borders: something that works with the theme! I'll give you some creative freedom, but I have a lot of picture to display so remember that! Thank you! January 2nd, 2019 (3:34 PM). January 2nd, 2019 (3:46 PM). Edited January 2nd, 2019 by Trev. Nobody use this without permission from me and the sig owner blah blah blah. January 2nd, 2019 (6:33 PM). Completed thread request for juliorain. Do not use or duplicate without permission from me and thread owner. Pokemon Fission and Fusion Versions are set over a hundred years from now. Many pokemon species became extinct during the Pokewar or the Nuclear Winter that followed. They've hardened, survived and adapted. Some pokemon have remained the same, while others have new abilities, stats, evolution methods, or even types! See below to see what has been changed. A new type, the Radioactive type, click here for the updated type chart. 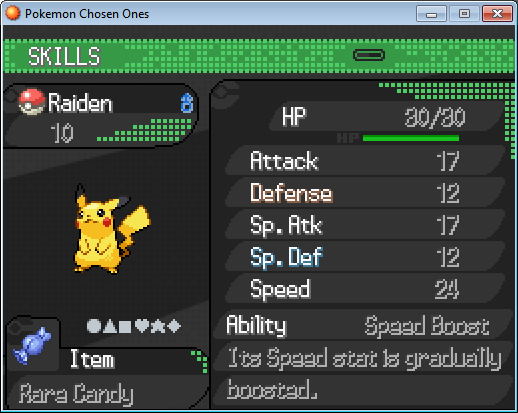 Ice type receives several defensive boosts as well. Adjustments to standard pokemon detailed here. Magcargo's BST was increased by 100pts, and receives a new trapping ability aimed at killing radioactive types! Still trashed by Ground and Water types, however! The new ability is called Porous Rock. Sandygast and Palossand now have an other possible ability: Drain Boost, and hidden Sand Veil, they also have a new BP 75, Radioactive type Signature move called Poisonous Drain. It will restore the user 1/2 hp of damage dealt. Leafeon, Braviary, Hawlucha, Aegislash and Staraptor all receive a new move called Gliding Strike. It acts like Sacred Sword. Is Flying type with 90 base power. Effect: User takes recoil damage equal to 1/4 of the damage caused. If Harsh Sunlight is in effect, the move becomes Fire type. Absol and its mega recieve a 10 BST increase in both def and sp.def. All eeveelutions ca now mega evolve! The three starters to the Westorn region! According to a recent demand the Westorn Council only hand them out to the students who recieve an "Advanced" on their PLEETS (Pokemon League Exit Examination for the Tranier School). For those who receive "average" will receive a Bidoof and for those who receive a "below average" will stay another year. Beta 0.1 - Over 2 thousand downloads! Beta 1.0 - Coming soon! [x]Trainers now appear in Seabreeze city after the fight with Tireo, Koffong is an extremely rare (1%) find in the Meadow Town Underground. (Koffing is now part radioactive type). 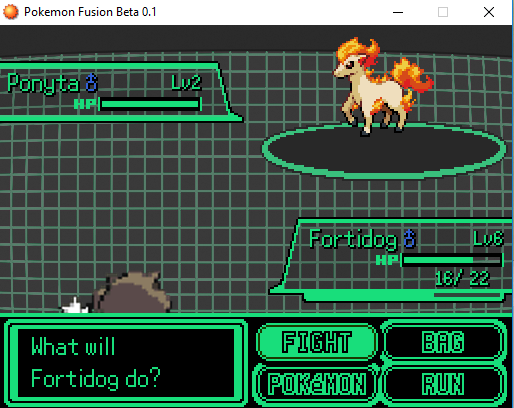 You can also find Zubat and Rattata, along with your standard Fortidog encounter. [x]Removed the Klein Studios BW Evo Scene script; it gummed up and caused a crash. Evolution works as normal. [x]Added in all relevant Gen 7 moves and abilities. 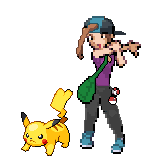 Mostly updated the game to gen 7 mechanics! Let me know if I missed anything. Z-Moves and Z-rings are reserved for a future beta. [x] There are now over 100 possible tms... I went overboard. They replace MTs as they don't exist in Westorn. [x] Removed the Elite Battle System by Luka S.J. et. al. [x] Graphically overhauled the interfaces to look like a Pipboy. [x] Radioactive sickness is a condition that is fully programmed. When having it, your pokemon's sp.att is halved and makes similar chip damage like burn at the end of the turn. [x] Rotom Geiger Counter is programmed, but not yet implemented. [x] Radioactive tiles and RadPills are programmed AND IMPLEMENTED!!!!!! [x] Added Routes 5, 6, 7, 8, 9, 10, 26, 27, Belmont Town, The poisoned Grotto, the Tri-City, Barren Desert, Southpoint City, Mt. Helene and its caves, outiside of Yucca Mountain, Oasis, Oppenheimer's Home, Lost Ruins, Mt. Spear Pass, Bushfire Town, and the Uranium Mine. [x]Nuclear Disaster Cleaning facility and Spot One disaster zone will be added in a future Beta. Mt Helene Caves, Yucca Mountain Facility, Uranium Cleaning Facility, Lost Ruins, and the Uranium Mine will all be fully developed in a future beta. [x]Seasparkle Town is no longer accessible pre-badge one. However, I have made a sea route connecting it to Seabreeze City. No need to worry as the routes can naturally lead you back. The area is completely optional. [x]Rescaled the difficulty of the initial fight vs Tireo. You'll have the opportunity to catch Anispoto a Dragonfly pokemon that has Powder Snow and Twister, and Fortidog a normal+steel prairie dog. [x]After the fight after Tireo, the thugs in Seabreeze will have a bone to pick with you. You can heal your pokemon in Meadow Town. Click the pokeball near Prof. Chestnut. [x] Fixed the starter pokemon quiz to make it super easy. (You need to get 9 or more questions wrong to receive a Bidoof). [x] Day/Evening/Night Mechanic works properly on every outdoor map. [x]Adjusted and defined all available fakemon for captures' movesets, abilities, and stats. They'll still have weird weights/heights, ev yields, base xp yields, and pokedex descriptions. Rest assured they will be defined in a future beta. 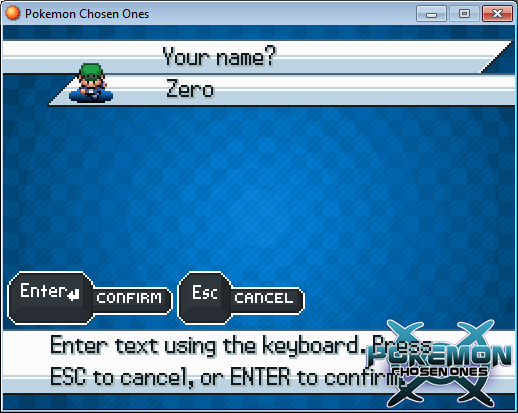 [x]Follower pokemon are still programmed, but removing the event trigger for now until I can get overworld sprites for fakemon. BlackOutG5, Rune, Rigbycwts, Rot8er_ConeX, James Davy, Luka S.J. Completed thread request for raichu. Do not use or duplicate without permission from thread owner and me. Welcome! Here we shall gather and nerd out about personality type systems, theories and tests. We can also share our experiences and struggles with being a certain type or relations with other (and similar) types. We all love belonging to a house from Harry Potter, don't we? This is more based on what you value and wish to be, than what you might actually be. Your D&D alignment is determined on a scale of lawful-neutral-chaotic and good-neutral-evil. January 2nd, 2019 (6:35 PM). Edited January 2nd, 2019 by juliorain. 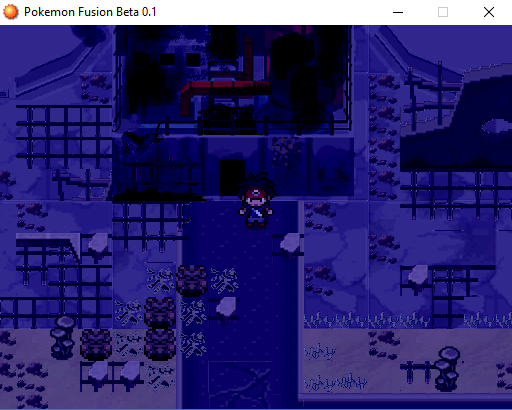 Fission + Fusion Versions gonna be *lit*! January 19th, 2019 (10:03 PM). Edited January 19th, 2019 by juliorain. 2 Days Ago (3:54 PM).